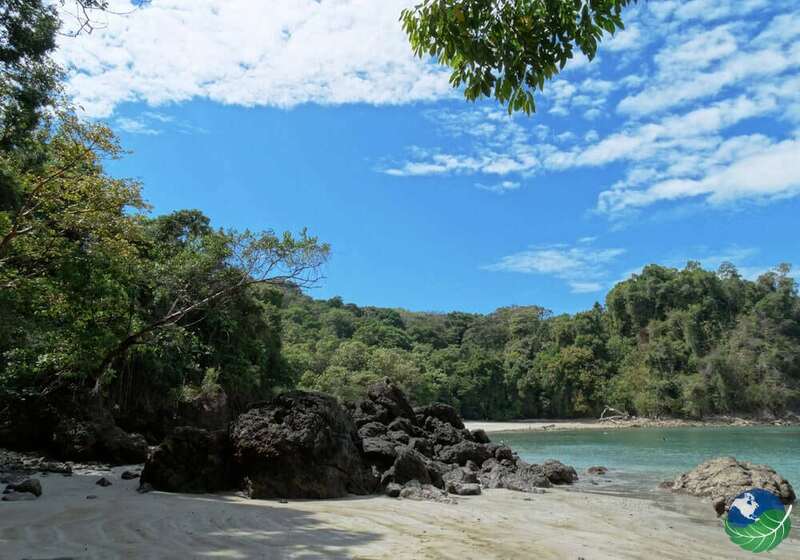 What makes Playa Biesanz in Costa Rica so special? 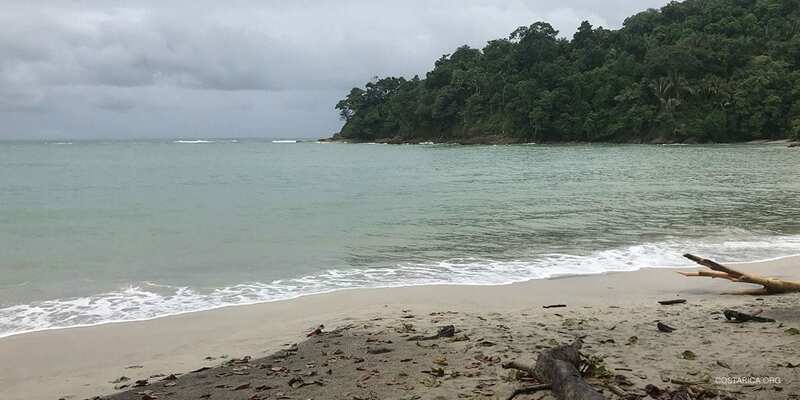 It’s a beautiful unknown quiet corner between Quepos and Manuel Antonio National Park. Biesanz Beach a secret, solitary location covered by dense green wilderness. It’s alive with monkeys, sloths, lizards, snakes and birds. Biesanz Beach lies at the end of a jungle trail that starts by the side of the road close to Hotel Parador. It goes through a small opening in a fence and goes down a steep hill with loose pebbles. The 10-minute walking the trail down the hill is slippery so be careful! The trail down to Biesanz Beach is a great place to test your senses while spotting wildlife; the trail has a few clearings between hillsides that allow for great wildlife spotting opportunities. The beach is very remote and less popular amongst surfers. This is the perfect location for those looking to escape the crowds and enjoy a quiet beach and the serene, calm water. Among the favorites to appear along the trail include the Central American Squirrel Monkey. An endangered species whose jungles have been clear cut, with the small exception of Manuel Antonio National Park and its peripheral areas. The howler monkeys are one of the most common creatures to spot at Playa Biesanz. The howler monkeys usually stay up high and unseen in the canopy but their loud howls give away their location. These black monkeys are less social towards humans than the squirrel monkeys and capuchin monkeys. Clearings in the jungle along the Playa Biesanz trail are a good place to look for three-toed sloths. They latched from skinny branched big leaf Cecropia trees. The tropical almond trees (Terminalia catappa) on the beach attract slow mossy two-toed sloths. On a good day at Biesanz, you’ll spot both of them. Get your feet wet on the end of the trail and walk along the soft sands of Biesanz Beach. Mid tide is the best time be at the beach. 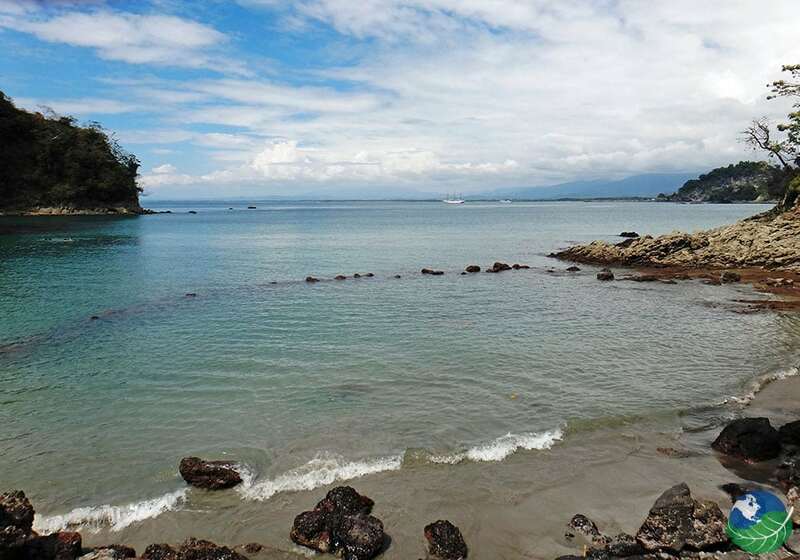 While Playa Biensanz is a haven of tranquility, Manuel Antonio bustles with activities. You can take canopy tours, go horseback riding or try white water rafting. You can arrange for a snorkeling or scuba diving trip or just explore the park itself and its large variety of wildlife! There are 184 species of birds and 109 species of mammals within the park and almost 80 species of fish in the surrounding water! 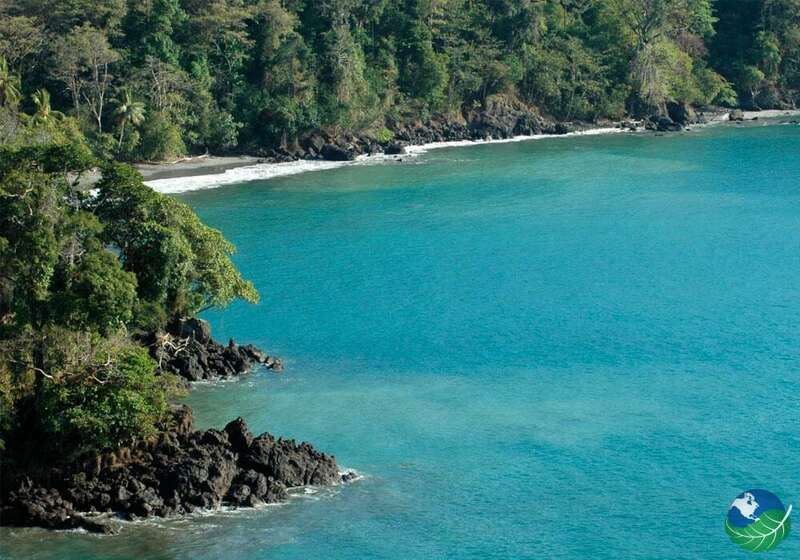 The famous port town of Quepos is only a 15 minute drive away and hone to some of the best sport fishing in the world. Particularly known for the Marina Pez Vela, Quepos has great dining options as well as musical performances to enjoy. The marina itself opened in 2014 and hosts international fishing tournaments. From here you can also tale great catamaran tours where you can explore the Pacific coastlines with a cocktail in hand and great meals included. If you are looking for water that can produce some waves, pay a visit to the famous Jaco and Playa Hermosa. The surfer will feel more at home here and can also enjoy the nightlife that Jaco is so famous for. When traveling south, the surf continuous at the famous Dominical which is also close to the thrilling Nauyaca Waterfalls. Dominical even lays at the entrance of the South Pacific and glorious destinations like Uvita are just a stone’s throw away. Visit between December and March: This is the Costa Rica dry season and the best time to enjoy those long, sunny days at the beach. Explore the Central Pacific: Playa Biesanz is a remote treasure and great if you want to escape the bustle, but there is much more to the Central Pacific! 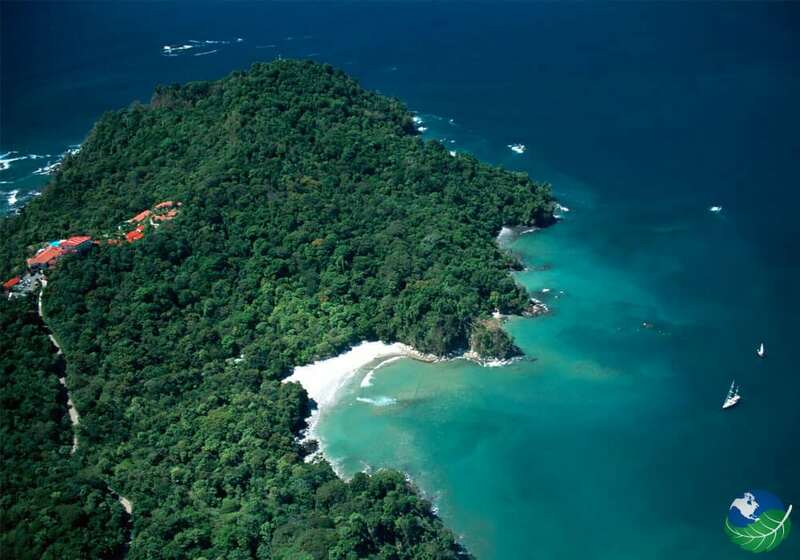 Travel to the iconic Manuel Antonio National Park as well as Quepos and the other beaches. If you are traveling from San Jose, you can take advantage of the domestic flights to Quepos airport (XQP). Quepos airport is located at only 5 km from Quepos which is in turn 6 km from Playa Biensanz. You can take a shuttle or rent a car as well, but be prepared for a 160 km trip! Playa Biesanz is great as a remote beach location and if you like, you can always pack a lunch and spend the day there. For those days when you don’t want to enjoy the fine cuisine at your hotel, you can spend some time at the nearby destinations that have more to offer in terms of food and drink. When in Manuel Antonio, you can enjoy a wide variety of restaurants and cafes. Most famously, it is home to El Avion – an old Fairchild C-123 airplane that was refurbished and turned into one of the coolest bars and restaurants in Manuel Antonio. Quepos has quite a few high-quality as well. Sea food lovers will adore the Z Gastro Bar at Marina Pez Vela. This restaurant is mainly known for its amazing fish platters and shrimp cocktails. If you are a vegan or vegetarian, no worries. They have something for everyone! Hotel Shana offers luxurious and fully-equipped suites close to Playa Biesanz. The area is one of peace and seclusion and ideal for a peaceful getaway. The Movement Pavilion features Yoga and Pilates classes and a whole range of Spa services. The Gusto Restaurant provides indoor or outdoor dining by poolside with your own private butler to attend you. Even better, you can take advantage of a private pathway to the white sandy shore of Biesanz Beach. 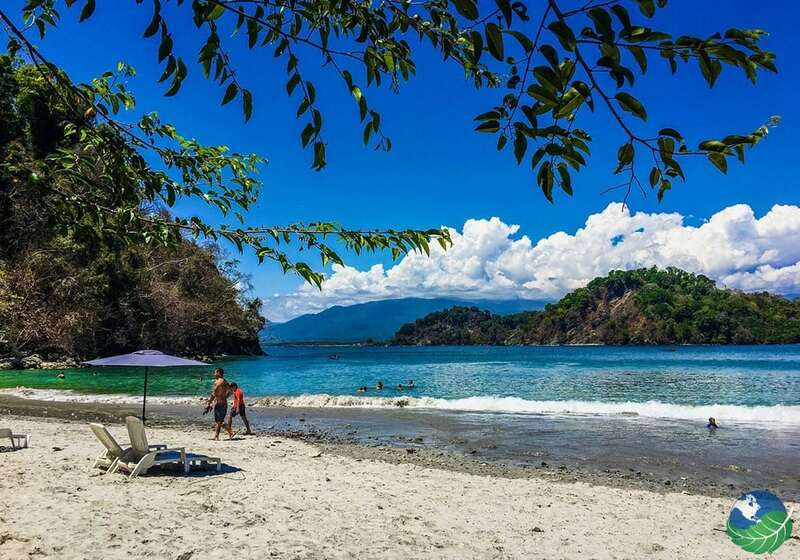 Costa Rica beaches are the backbone of this fabulous country.